My apologies to this community for being absent for so long. I've been reading like crazy to stay current for the children's literature course I am teaching, but I just forgot about this piece of sharing with all of you. These two books made me realize it was time to share again! And I have to give a huge thanks to Andrea for being the one to recommend them to me! 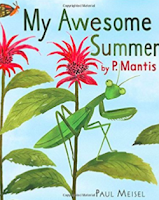 My Awesome Summer by P. Mantis, written and illustrated by Paul Meisel is a chuckle a minute over a very bloodthirsty praying mantis who also happens to be the narrator of this text. Children will love the fact that P. Mantis eats whatever necessary when she is hungry, including brothers and sisters! 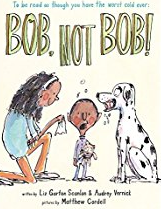 What a fun text to share with students to hear their comments and sound effects regarding the gross items. This book covers the life cycle of P. Mantis - including eating habits, defenses taken from predators, and skin shedding habits. The book is set up as a journal, so this cycle of life begins on May 17, and continues on until October 17. As with all great nonfiction, the author has included notes on the end pages to enrich a reader's understanding of the praying mantis. He included three websites well worth the time to browse. Ribbit, written and illustrated by Jorey Hurley, is another life cycle book. This time about a frog. 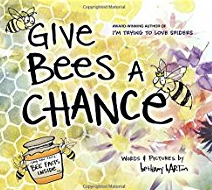 In addition to the beautiful illustrations, the thing that makes this book so unique is that each 2-page layout has only one word on it to represent that life cycle. Each word is a verb. There are endless opportunities of how to share this with young children. 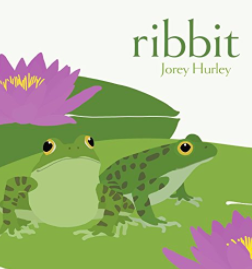 This book also has an author's note at the end with more detailed information about the frog and its life cycle, as well as how she and her brother used to catch tadpoles and watch them develop into frogs. Both of these books would make amazing additions to a classroom library!! Thanks so much to Jen of Teaching Mentor Texts and Kellee of Unleashing Readers for hosting this community of kidlit readers!!! Thanks to Cathy and Mandy for hosting this event that is such an amazing resource for us all! As I'm entering a new phase in my professional career, I thought it might be time to dust off this blog. I recently said yes to the opportunity to be an adjunct professor at a university in town teaching Children's Literature to students in the Early Childhood Education track. I have spent a great deal of time in past years using picture books with 3rd - 5th graders, but books for the lower end of the Pre-K - 3rd grade was a slightly different span for me. 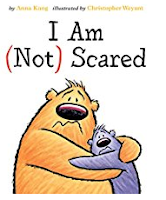 However, I was up for the challenge of learning about, and reading, good books for younger students! 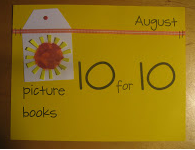 My #PB10for10 list is a small sampling of some of those new-to-me books I've loved and want to share with my college students when I open my bookbag the very first day of classes. My goal in this class is to introduce these soon-to-be-teachers to a plethora of great books, so they will have the tools to match readers with the right books. 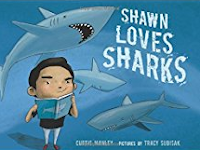 This can't be a comprehensive list because I've read so many picture books this summer, but out of the 50+ picture books currently in my home from the library, these are the ones that I currently plan to have in my bag on August 22. I loved her first book, I'm Trying to Love Spiders, and in my opinion, this book is even better. Barton infuses humor as she teaches us many details about spiders. 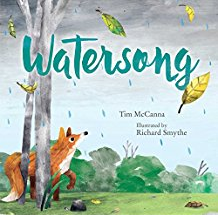 It's a beautiful blend of a narrative and informational text. What a great lesson this book teaches about friendship and social media responsibility. 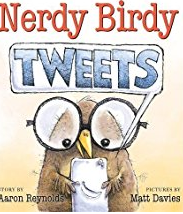 A great book to share with students. As someone who really sounds funny when those head colds hit, I could so appreciate the voice of this story. And what young child couldn't relate to wanting "Mom" or a loved one when they are sick?! 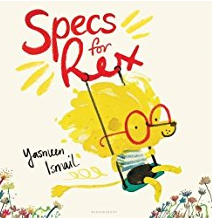 A story about wanting to fit in especially when there is something unique about you. A story about how others accept you as is. Good community builder for young students. So many great topics and possibilities for this book. Friendship, passion about a topic, avidly pursuing a topic of interest, the feeling that happens when you don't get your first choice. The joy of reading this aloud with students! The language and words the birds choose as their new "sounds" are just delightful, and beg to be read aloud together. 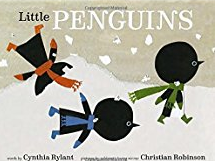 I've been a Cynthia Rylant fan for a very long time - the 1990s to be exact. Her words combined with Robinson's illustrations almost make me wish for the first snow. The simple text will be one young students read again and again. Beautiful words; beautiful illustrations. Such a lyrical read. Bravery. What a great discussion to have with young ones. And how having a friend or a buddy there to help you through the experience makes it so much easier. This story is just stinking cute, as we meet 3 characters who just want one thing in life - to find someone that can beat them in a challenge. They are only happy after they have been bested. 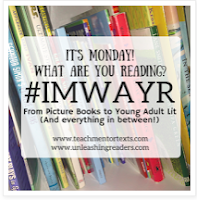 It killed me to write this post before reading others' lists, and most certainly, begin to reserve even more books from the library to read, enjoy, and share! So now, that's exactly what I plan to do!! A huge thanks to the gang at Two Writing Teachers for hosting and organizing each week. I appreciate the community of writers you encourage the entire month of March, and all the Tuesdays the rest of the year. Thank you so very much. **For the March Slice of Life Challenge, I had planned to connect as many posts as possible to my #OLW for the year - SAVOR. ** I did 24 straight days, but missed the last seven, so I'm doing my wrap-up today. freshly-made sub from here, it's amazing! Chicken tenders are pretty great also. reached our condo at Hilton Head. Daily walks on the beach. on the beach this week. some of the dolphins I saw each day. View from the pool in the afternoon. Watching the tides come in and out. Shopping at this store each day. Last day on the beach. There were so many moments to savor from last week - walks on the beach, toes in the ocean and sand, seafood all week, golf, great weather, a great deal of reading, and lots of rest and relaxation. I felt very blessed and savored it all!! 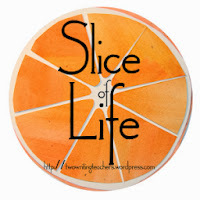 I love March, when during the Slice of Life Challenge, I commit to writing on a daily basis. It's fun during 31 days of posts to watch the ebb and flow of my writing. Some days I'll be incredibly pleased with how a post turned out; other days I'll just be glad I posted anything at all. A huge thanks to the gang at Two Writing Teachers for hosting, organizing, and commenting on this ginormous event each year. I appreciate the community of writers you encourage the entire month of March, and all the Tuesdays the rest of the year. Thank you, thank you. Make a couple extra hash browns today. Karen will want some for lunch today for sure. Many people talk about the most important people in a school being the secretaries and the custodians. I totally agree, but would like to add one more category to that list - the cooks in the cafeteria. I am of the firm belief that developing a rapport and a relationship with the people cooking the food is incredibly important. In the school I just exited, the cooks are Cheryl and Alisha. At lunchtime every day, I head down to the cafeteria kitchen to fill my cup with ice from the machine. Each day, I check out what is on the student lunch choices. And each and every day, Cheryl and Alisha greet me with incredibly warm words and smiles. As we've chatted over the past year when I'm in that building, they have learned I love three specific things from the school lunch: hash browns, tater tots, and Goldfish Giant Graham Crackers. So when I come to get my ice, they have those things waiting for me on days they are being served. I love that I've chosen three of the most un-nutritious things possible, and they never judge me. A smile, a warm welcome, and some hash browns. I've come to savor that combination. I will miss it. I love working and collaborating with adults as a coach, but when that work allows for interaction with students as well, those are opportunities I savor. Today was my last day ever in another one of my schools. There have been some state assessments during my time here, but there has also been some wonderful learning. Many of those learning opportunities involved me collaborating with teachers in their classrooms with their students. With piano versions of Disney songs quietly playing in the background, a purposeful hum of activity was happening in one writing workshop. The teacher and I were working on refining conferring skills, and we had the privilege to spend time with several students talking about their opinion pieces. As we conferred, we found one teaching point for each child, and they left our table beaming with the confidence of assured writers with a plan. It made my heart sing seeing their pride. In another classroom, the vibe was a bit more frenetic as students were planning, scripting, practicing, and recording themselves and partners sharing about their favorite books or book series. Though the noise level was higher, the energy and focus were spot on. I spent some time with one specific student who felt stressed to get everything done. He did it, though - he got his script done, practiced it several times, worked on his eye contact, and let me record him until he was happy with the results. He looked at me with big eyes after and said, "I made really good eye contact because I didn't have to read the script the whole time. I really knew it!" His obvious pride in himself made me smile for hours. This entire year, I have spent much time thinking and collaborating with one teacher, and that work brought me into contact with her students frequently. Today, I swear, my heart just melted. When they found out it was my last day at their school and I wouldn't be back next year, her students decided they wanted to take a picture with me and put it on their "family" wall - the wall showing pictures of them being a family and community. They also gave me my own small version of the family wall picture on construction paper, and they all signed it. As if that wasn't enough, the entire class wrote thank you notes to me and their teacher bound them into a book. I have savored all 36 of my years in education. When I try to explain it to non-teachers, they don't always understand. These three scenarios are just 3 of over a bajillion reasons that I love being an educator. If you've talked to me, or read my blog posts, in the past six months, you know that retirement feels very bittersweet for me. Saying goodbye to educator friends in my district is going to be difficult. I know I am not done with education by a long shot, but there are so many other possibilities out there for me to discover soon. Whoa!! I just planned my entire first week of retirement. That seemed crazy. A conversation began in my head. It's retirement, Karen. It's not about being on a schedule every day like when you were working full time. But... I now have the capability of working out in the mornings. You know I tend to not exercise in the afternoon or after. But every day?!! Doesn't that seem a bit excessive to schedule like that in retirement? Maybe. But if I schedule it now, maybe it will just become a habit; something I do on any given day. And then I got really excited about this possibility! I got so excited, I went back into that first week of scheduled exercise, and did some editing - I made each item a repeated weekly event. After awhile, I won't need the schedule (I don't think). But I plan on truly savoring those morning workouts each day, beginning May 29!! I never travel without a book on tape in the car. I'm amazed at how much I can listen to just driving around doing errands and doing my sales. I love to read with my ears. They listened to two books on tape - one going down to Florida and one coming home. He said it really made the time pass quickly. The narrator pronounced his name "Oo-va". 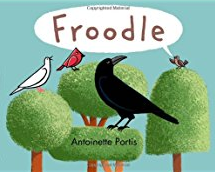 The narrator made this a delightful listen as she used a slow Southern drawl for the characters. People all around me were talking about audio books, and how much they enjoyed them. About a year ago, I decided to give it a whirl. The third snippet above was my husband as we were in the car bound for Hilton Head last spring. He wanted to try it since a couple we knew had tried it and enjoyed it. I loved the idea of sharing a book, so I downloaded the Audible app as we drove, read the books' descriptions to him, as well as the reviews of the narrator. 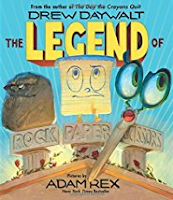 We chose a book, and it was great!! Eleven hours of prime listening. Since that occasion, I have become addicted to audio books. Like my friend above, I now always have a book on tape in the car. I have extremely short commutes, but it has still been wildly entertaining, even if just for a few minutes some days. I'm so bad, that last night when I dropped my car off for service at the dealership, and got a loaner, I kept my books on CD with me, and remembered what track I was on as I exited one vehicle and got in the next one. The first thing I did after turning on the ignition was to put the CD in and get back to the right track. In addition to what I have going in the car, I also always have one or two books on my Audible shelf - I listen to these as I take walks or do chores. It truly makes the time pass in such an enjoyable way. I've noticed my walks are longer now that I listen to books as opposed to when I used to listen to music. I do not do well with auditory processing; I have really had to retrain my brain. There have been many times I have had to skip back because my brain took a mental break, and I missed important plot elements. And as a reader (don't hate me here), it's been a great way to keep me from cheating and reading the ending before I truly was at the end. I really savor this new form of reading. It is music to my ears. Sun entered my heart today, and I plan on keeping it there. Today was a day of coaching sandwiched between state assessment dates that had me celebrating why I love this job so much. 1) Met with one teacher to chat about refining her art of conferring. Planned our work, and then modeled conferring with several students in writing workshop - focused on the following point: "turn an 'almost' into a strength" - thanks to Ruth Ayres for that nugget!! After each conference, had a "turn and talk" with the teacher to focus on what she noticed and further questions. 2) Using ideas from Amplify (Ziemke and Muhtaris) as our resource, helped a teacher develop an outline of a rubric to use with students merging reading, speaking/listening, and technology skills. Students will help define what it means to "achieve" in the categories of the rubric. 3) Met with another teacher to think about how to create a rubric with students to help them with self-assessment on their reading goals. Made plans to co-teach mini-lessons around this rubric creation for the next three days. 4) Planned future collaboration with yet another teacher. She decided she would like to work on fine-tuning how she assesses students' written work. Independent from each other, she and I will use our district feedback form for informational writing to assess 5 pieces of writing. Then, we will come together, and talk about the similarities and differences in how we assess. And once we calibrate how we assess, the work will spread to the rest of her grade level teammates. Work like this is so rewarding - the kind of embedded professional development that is a win-win for all stakeholders -- students, teachers, coaches, administrators, parents. Feeling the "sun in my heart today"and looking forward to savoring the next eight weeks with more of this type of professional development! Today was a great day. I went to a baby shower. To get to the baby shower, my oldest daughter came to our house, and we drove together. There were many threads of conversation in the car for 40 minutes. I'm sorry I was running late; I was having a bad hair day and I couldn't figure out my outfit and accessories. I think your hair looks great. Are you getting excited for vacation? I'm so proud of you for your promotion at work. And then we picked up two more passengers. My aunts (my mom's sisters) were invited to the shower, and I offered to stop in their town and pick them up since they lived on the route to the shower. More threads of conversation filled the car. Have you heard anything about your parents' tombstone? How has your therapy been going? I miss your dad and mom so much. How do you like living in Grandview? How is your sister doing? Did you know they were adding a bedroom on to their house at the lake? What kind of car is this? It rides so smoothly. Once at the shower, the celebration was all about my niece, Jen, and her baby. So many family and friends gathered to "shower" them both with gifts and love. It was a thing of beauty, and I'm so glad I got to be a participant. And watching Jen's emotions as she saw my aunts climb the stairs brought tears to my eyes - for her, they were a representative of the one grandmother who wasn't with us anymore, but through them, she was there in spirit. Back in the car for the two hour drive home, and more time with three of my favorite females. Threads of conversation filled the car again. This day was about love, family, threads of conversation, missing my mom and dad, celebrating a new person entering our lives soon, and caring for one another. What was one of the pivotal points of your career? My trainer asked me this question during our training session today. We had been talking about my retirement, and her question, coming as I was doing a variety of arm exercises, felt like it came out of left field. But I was able to respond immediately. The summer I came to Dublin, and was assigned to teach fourth grade. I moved in across the hall from a teacher who was new to Dublin as well. At our first meeting after the usual pleasantries, she asked me if I had ever heard of writing workshop, Donald Graves, or Lucy Calkins. My reply to her was a triple no; I had heard of none of those. So she handed me two books she had read about writing workshop and asked if I would read them, and think about them with her. My love for workshop and really learning more about the art of teaching began then, in August of 1986. There have been other pivotal points in my career, but I truly believe that all the other moments would not have happened had Mary Lee Hahn not moved in across the hall from me in August of 1986. Our first exchange shaped the arc of my professional career for the 31 years I have taught in Dublin. It began with that conversation, but morphed into so much more. Hey, I had the best lesson in writing workshop today. Do you have time to chat so I can share and process what happened? Oh my gosh. My mini-lesson flopped today. Can I run it by you? I'm trying to think of how to help this writer. Would you mind taking a look at her writing with me? I've been acquiring all these poetry books, and I have enough now to devote one entire bookcase to them. How cool is that?!! For the two years we were on the same 4th grade team, we were in each other's rooms before school, at planning, and after school, working on the art and craft of our teaching, especially in regards to literacy. I lost track of how many professional books were purchased and read during our time together at Deer Run. Our relationship was the standard to which I have held all future collegial, collaborative relationships. I hope that, at some point, I have been able to give the gift of professionalism and caring about the art of teaching literacy to someone else, the same way Mary Lee gave it to me. Because it truly is a gift that I have been savoring for a lifetime. The first two professional books ML introduced to me. I came home and was having a totally chill Friday night - reading, binge watching Parenthood on Netflix, and catching the ends of some NCAA tournament games. The next thing I knew, I looked at the clock and it was 11:17 PM. And for several moments, I contemplated not posting today. Library books - ones I've reserved and others I found on the "new book" shelves. Some seem like worthy literature; others pure fun. Audio books - Some cassettes from the library and more titles on my Audible app. My husband and I have really come to enjoy listening to a book together as we drive. I also have a book on Audible that will be my walking on the beach book; something I will enjoy, but I'm pretty sure my husband would not. Book club book - My book club has decided to read the latest Fannie Flagg book for our next book club. That book had to come with me for sure. Kindle books - I preordered some books awhile ago, which are waiting on the Kindle. What a fun dilemma to have! I can't possibly read all of these and still enjoy the rest of our vacation together. But what wonderful choices to have!! My goal is to have the pile of books (which still has time to grow) winnowed down to what will fit in my library bag only. It's nice that the Kindle takes so little space! I have a bone to pick with you. You are making me look bad. See, I've been writing a lot about my fitness lately - how the language of yoga keeps me centered, and how strong I've become with the guidance of my trainer, Tami. I thought you would be the final piece of the puzzle to help me achieve my fitness goals. And, the kicker of being mad at you is that I wanted you so much! I dropped hints to my daughters and my husband over and over at Christmas time that you would be the perfect gift. Then, a week before Christmas, I was worried they would go rogue and get something else for me, so I purchased one of your siblings for myself - you know the waterproof, could-wear-it-swimming, and even-wear-it-as-a-necklace sibling? But, lo and behold, YOU were one of my presents under the tree. I kept you and returned your sibling. I went online, figured out how to set you up, and we were set to go. You and I were going to make one heck of a team! Imagine the 10,000 steps I would be taking each and every day, the 90 ounces of water I would drink daily, and the 5 days I would spend in alternative aerobic and strengthening exercises as well! Since January, you have been the only accessory on my wrist; all bracelets have disappeared in my quest to reach these 3 simple goals with you. Having you on my wrist was a symbol to all - hey look at that lady! She's got it going on with all the steps she's getting everyday. We have not achieved One. Single. Goal. But I forgive you. I'm an optimist by nature, but I just want you to know I'm watching you, and hope that when we head down to Hilton Head soon, we can seriously work on at least our first goal of 10,000 steps (ok, I know I am fibbing here; I really set what I thought was more realistic at 8,000 steps). And then this summer, when we begin retirement and our golden years together, we are going to get in some serious steps each and every day, right? So, to clarify, I'm not breaking up with you. But I just want to make it clear that I'm not savoring our relationship right now, and I'm putting you on warning that I expect a "bit" better in the future. When I first moved to Columbus, I had two friends from college who lived here with their husbands, but I really didn't have any other female friends. Tonight I'm thinking about the first two adult friends I made Columbus my new home. Sue and I taught in the same school district. We also had mutual friends from the college we attended. She introduced me to her sister, Terri, and the three of us got along swimmingly. I eventually began driving out to their side of town, so we could attend aerobics class together (Jackie Sorenson was popular back then). On Saturdays after aerobics, we started going to lunch. Now, we are friends that only get together once a year for lunch during the winter. Several Saturdays ago, we had our annual lunch. It was delightful, no shortage of conversation as we caught up on lives and children. Which left me wondering - if I savored my time with Sue and Terri as young adults, and still adore our annual get-togethers, then why in the heck are we now just "once a year" friends? I think I need to remedy that!! My heart felt sad for these wonderful third grade learners. I will not be savoring the feeling I had as I helped proctor the first day of the state assessment. As I move forward to that official retirement date, I have been thinking of those things I'll miss after retirement. From time to time during the month, I may be sharing some of those with you. Thanks for humoring me. Tonight I find myself thinking about snow days. I will miss snow days. Watching the evening news on every station until I hear the prediction I really want. Author's note: I read somewhere (I think in Georgia Heard's brilliant book, The Revision Toolbox) that a great revision strategy is to pull a line or two from something you've already written, and begin a new piece with those lines. I thought I would give it a shot - I have pulled two lines from yesterday's post to begin today's slice of life. telling us all to breathe during our time together this morning. sip in just a little bit more air. Switching from noticing our breathing to deepening each breath. Settling into a zone of breathing and being aware of body positions. A gentle reminder to not shortchange this cycle of breathing. Make it feel good and juicy. don't be concerned about what others can or cannot do. rooted to the earth as we flow through our postures. Staying in the present, thinking only of the breath and the postures and the flow. Ending our time together by appreciating the spirit in each other. As I reflect back on our class, the yoga instructor's words continue to guide my thinking and actions. I think there are many wise life lessons in those words for me to contemplate. This quote from The Help is one of favorite movie quotes. It's a message with importance for so many people. But for me, it brings to mind my trainer, Tami. Every Saturday morning, I work out with Tami. Through her actions each week, she sends me the above messages, plus one more: "You is strong." When I first met Tami two and a half years ago, I felt anything but strong. My mom was having health problems, my dad wasn't in great health himself, I was traveling back and forth from my home to my hometown frequently to check on them, I was exhausted (both physically and mentally), and I felt incredibly out of shape. A month after I started training with Tami, my mom died, and I pretty much fell apart. I got through the holiday season, but January came and I couldn't pull myself out of the deep funk I was in. But no matter how much I didn't want to, on the day I was supposed to see Tami, I got in my car and drove the 25 minutes to get there. Tami took it easy on me for the month after Mom died. We did core exercises, and some simple arm and leg work. During the hours we were together, I would just burst into tears at random times. But she always kept me working, even if not at an intense level. Tami gave me one month to grieve, and then one Saturday she said, "I know you're not feeling strong inside right now, but I am going to help you feel strong physically." And she did. That Saturday, she put me at the leg press machine for the first time, and had me leg press a significant amount of weight. I forgot to cry. I was mesmerized by the piston actions of my legs. In and out. In and out. I could do it, and I felt strong. It raised my heart rate and my temperature which added to the feeling of strength. I cried when she stretched me out that day, but the tears came with a sense of gratitude that she had helped me get what my body so desperately needed. It's two years later now. I joke with Tami that in our hour together, there are only about 15 minutes I really enjoy. The other 45 are the ones I do because she says it's good for me; not because I want to. But it must be working. Every week, Tami names another area in which my body is getting stronger. A month ago, she told me that my workout had so much power in it, it made her want to work out herself for a second time that day. Two weeks ago, she said my leg work was a thing of beauty. Last week, she called me a hard-core athlete. With two years behind us, I can now say confidently: I AM STRONG. Thank you, Tami for helping me strengthen my body, which allowed me to strengthen my spirit, my mind, and my heart. I savor our time on Saturdays together.